Ron Galati, the Don Corleone of the auto repair business, hit a trifecta this afternoon when he was indicted for a third time in an ongoing investigation by city, state and federal authorities. The latest charges, announced by Philadelphia District Attorney Seth Williams, allege that the 63-year-old South Philadelphia auto body shop owner orchestrated an elaborate insurance fraud scheme that netted nearly $5 million for himself and his co-conspirators. Those charged in the case included Galati's wife, Vicky, his son, Ron Jr. and Steven Ligambi, the 28-year-old son of mob boss Joseph "Uncle Joe" Ligambi. In all, 41 people have been charged and several have already agreed to cooperate, according to the District Attorney's Office which quoted one cooperator who said Galati would boast, "I live my life to cheat insurance companies. My high every day is to cheat insurance companies." Galati is already facing murder for hire charges brought by the District Attorney's Office and attempted murder and conspiracy charges brought by the U.S. Attorney's Office in New Jersey. He has been held without bail since his arrest last year on charges that he solicited three hitmen to kill a father and son, rival auto body shop owners, who were apparently cooperating in the investigation that had targeted him. Last month he was named in a federal indictment out of the U.S. Attorney's Office in Camden alleging that the same hitmen were solicited to kill the boyfriend of Galati's daughter Tiffany. The boyfriend was shot in Atlantic City, but survived. Two of the hitmen, along with the boyfriend and Tiffany Galati are all believed to be cooperating in that case. The indictment announced today was similar to a fraud case brought against Galati back in 1995 by federal authorities. He was convicted and served 37months in prison. This time, with the murder for hire and attempted murder charges, he is looking at a possible life sentence. The charges painted a picture of an arrogant wheeler dealer who developed a systematic routine to cash in on phony insurance claims. Corrupt insurance company agents and one Philadelphia police officer were also charged. 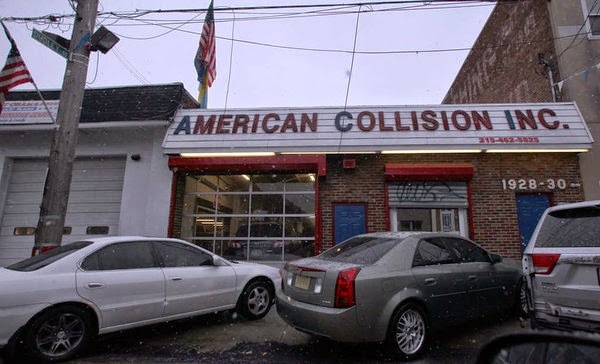 Among other things, Galati's American Collision and Auto Center had a contract to repair Philadelphia Police Department vehicles. The DA charged that Galati had five different fraud schemes and that he generated over a million dollars for himself and his wife. The DA alleged that while he and his wife claimed in grand jury testimony that they each were earning about $250-a-week, evidence would show that "Galati cashed over $1.2 million worth of checks" at a South Philadelphia check cashing center over the past several years. The indictment alleges that over the past four years, insurance companies have issued $2.3 million for fraudulent claims filed as part of the Galati scheme. 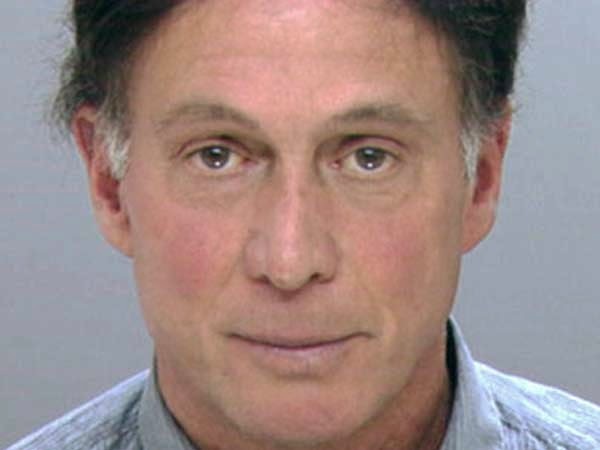 Authorities also allege that his shop obtained $1.8 million from the city after fraudulently obtaining a contract with the Philadelphia Office of Fleet Management. The "pattern of fraudulent claims," sometimes made with customers who were part of the scam, involved damages resulting from fictitious deer accidents, vandalism, damage due to falling objects and staged collisions. The DA cited Galati's "knack for designing creative accident scenarios and his network of rogue professionals who conspired with him to legitimize" the phony insurance claims. The indictment alleged that "Galati favored deer hits, vandalism and vehicular damages from trajectory objects" because those would allow the car owner to claim "no fault" and would not result in an increase in the driver's insurance premium. Among other things, the DA alleged that witnesses said Galati "stored deer blood, hair and carcasses in the back of his shop." Those items were used "as props for what Galati deemed `Hollywood Photos'" that were submitted along with the fake insurance claims. Other claims filed by Galati customers included reports that their cars had been struck by or collided with "geese, dogs, cartons of fruit, flying metal and falling concrete." Galati, the DA said, would also stage collisions, using tow truck operators who were also charged and sometimes with the consent of the vehicle's owner. That scheme was similar to one laid out by mob associate Louis "Bent Finger" Monacello who testified this year in the racketeering trial of Ligambi and mobster George Borgesi. In the 1990s, Monacello said, Galati would make a copy of customer's car key, then pay Borgesi to steal the car and crash it into another vehicle, also owned by a Galati customer. The "accidents" would generate more business for Galati's shop and more opportunities to inflate and falsify insurance claims. Monacello said he was on hand to drive a backup car and assist Borgesi in getting away after he had crashed the stolen vehicle. Galati was convicted in 1995 for running those types of schemes. Neither Ligambi nor Borgesi were convicted in the cases at which Monacello testified. The indictment also alleges that Galati's falsified documents in order to qualify for the city contract even though American Collision did not meet all the city contract specifications. Authorities also alleged that the investigation, which was coordinated by Assistant District Attorney Dawn Holtz and conducted by Det. Robert DiFrancesco of the DA's Office and Trooper Michael Romano of the State Police Organized Crime Division, also linked Galati and co-defendant Philip Sessa to a boat stolen from a marina in Somer Point, NJ, and to the misappropriation of funds from an unidentified senior citizen's bank account. Galati, who loved to quote lines from The Godfather, lived well on the money from his scams, the DA charged, often throwing "elaborate parties" at shorefront properties and "hosting expensive dinners" at local restaurants. It was at an Italian restaurant in Northfield, NJ, authorities said, that Galati threatened his daughter's boyfriend shortly before the boyfriend was shot. The restaurant, now closed, was owned at the time by associates of Borgesi's. "It wasn't a big place, but Galati liked to hold court there," said a source. "He thought he was Don Corleone." Will Nicodemo Take The Stand? Anthony Nicodemo, Unwitting Getaway Driver?